Lockhart's Authentic, hand crafted hair products for men. For classic and modern hairstyles. Popular products: Lockhart's Goon Grease, Lockhart's Heavy Pomade, Lockhart's Medium Pomade, Lockhart's Light Pomade. Be Authentic. MICROBREWED, MICHIGAN MADE HAIR PRODUCTS. WHAT IS THE LOCKHART'S APOTHECARY? 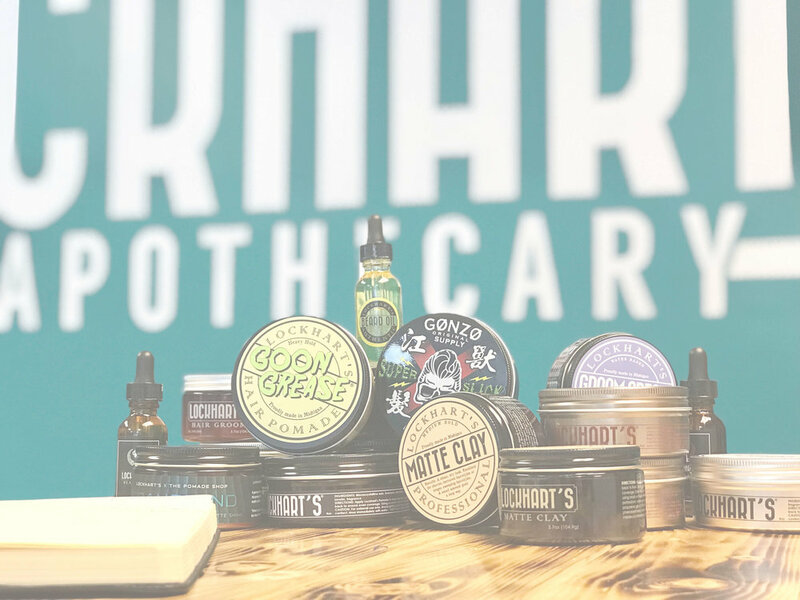 THE LOCKHART'S APOTHECARY IS A COALITION OF THE COOLEST ARTISAN MADE BRANDS FROM AROUND THE WORLD. A GROWING COLLECTION OF SMALL TO MEDIUM SIZED BRANDS WHO'S CREATIVITY AND PASSION SHINE THROUGH IN EVERYTHING THEY CREATE. JOIN THE LOCKHART'S STREET TEAM! As a member of the Lockhart's Authentic Street Team you will gain access into everything Lockhart's. You will be the first to know of new products, special editions, and the ONLY people available for pre sales on any products. The street team receives exclusive weekly promotions. Pass these promotions on to friends, family, ANYBODY and receive additional bonuses! Thank you for joining the Lockhart's Authentic Street Team! You will now gain exclusive access to deals no one else has access too! Pass on your coupon code and receive additional bonuses (hint: post your code up on Facebook with a link to our site). Be sure your friends mention you at checkout you can receive your new coupon code! Inside the Street Team Store you will have access to current specials only offered to Street Team members. The prices are always discounted and your current Street Team discount code can be applied on top of the discount shown!